Maduro cited Bosch and Caamaño Deñó when addressing participants at the start of a popular dialogue with the community councils about Venezuela’s challenges after the Organization of American States (OAS) denied recognition of the presidential elections of May 20, approved with 19 votes, including the Dominican Republic. “The great Juan Bosch, word of dignity, Juan Bosch who never betrayed the people, who was always loyal to the cause and had no fear of US imperialism,” said Maduro in an apparent allusion to the Dominican vote for the resolution that opens the doors for Venezuela’s expulsion from the OAS. 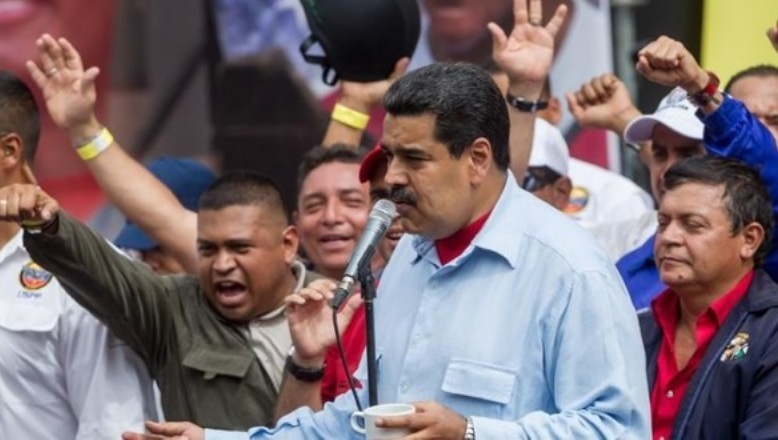 “Juan Bosch was never afraid of the imperialist threats and fought for his people, and he went down in history, because those who fight bravely go down in history like Juan Bosch and Francisco Caamaño,” the Venezuelan leader said at Palace de Miraflores house of government. He called Bosch and Caamaño heroes for their fight against the US occupation in 1965.